This watch has an amazing shape, my photos below don’t do this watch justice. The angles are incredible, the shapes are remarkable – this watch sits up on your wrist and demands attention. The ruby red coloured face are stunning and the whole watch is a real conversation starter! days. This is definitely a collectible. 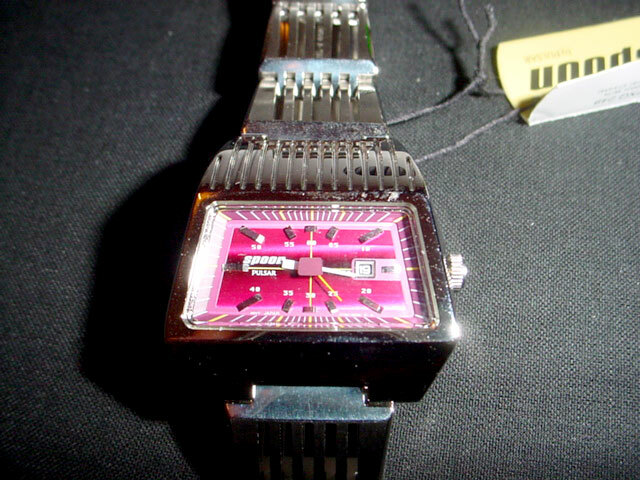 It’s an analog quartz watch. 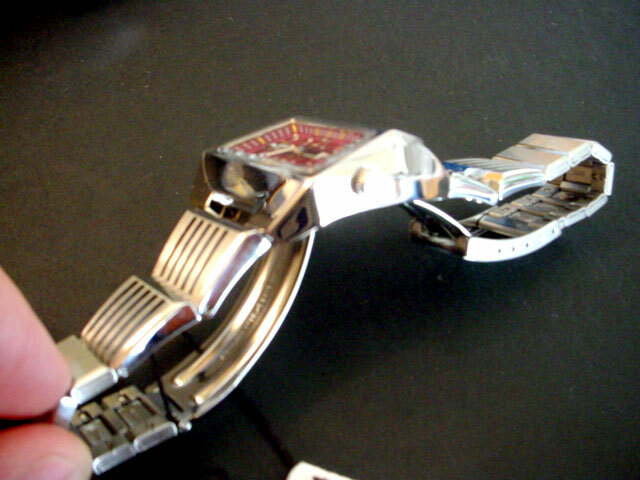 It has a center gradient ruby red face, stainless steel case and vented flip. Other features include: Locking bracelet, thick mineral crystal with high quality precision Quartz movement, hard mineral crystal, water resistant to 100 Meters and date register. 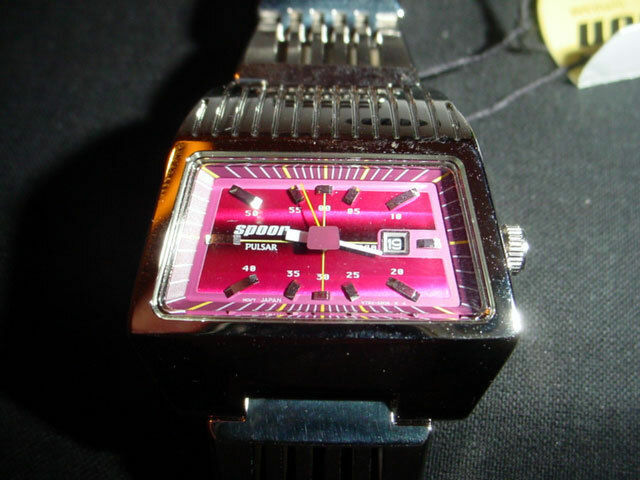 I am desperately looking for one of these Spoon watches – I know that this site doesn’t have them in stock at the moment… can anyone help? ?